SEMICON Taiwan was held September 5-7, 2018 at the Taipei Nangang Exhibition Center. 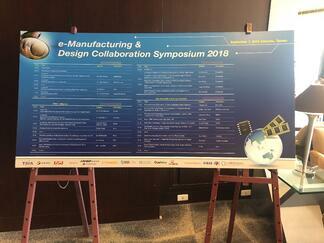 During that same time (Friday September 7), the e-Manufacturing & Design Collaboration Symposium (eMDC) alsotook place in Hsinchu, Taiwan. Cimetrix exhibited in the Smart Manufacturing Pavilion and had a strong presence at both shows, exhibiting and speaking at SEMICON, and speaking and sponsoring a tea break at eMDC. Cimetrix SEMICON attendees included Dave Faulkner (VP Sales and Marketing), Michael Lee (Country Manager Taiwan), Yufeng Huang (Senior Software Engineer), Alan Weber (VP New Product Innovations), Samson Wang (Solutions Engineer) and Kimberly Daich (Marketing Manager); Hwal Song (Country Manager Korea) was also able to attend for one day. We were joined by several partners and distributors as well. The Cimetrix booth was busy throughout the show, and provided a comfortable and convenient setting for the many scheduled and walk-in meetings that took place. 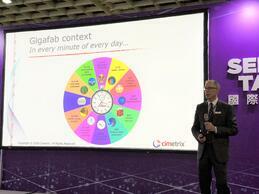 In addition to the exhibitions, SEMICON Taiwan also sponsored many forums for expert speakers throughout the show. Dave Faulkner spoke on Friday morning on the topic of "Making Smart Manufacturing Work with EDA: The Stakeholder-driven requirements Development Process". On that same day, Alan Weber traveled to Hsinchu for eMDC and spoke on a similar topic, "Smart Manufacturing Stakeholders and Their Requirements." Smart Manufacturing is a prevailing topic across the industry and was featured at SEMICON Taiwan, as they continue the Smart Manufacturing Journey that began with SEMICON West. Our office in Taiwan has expanded recently with the addition of a new Solutions Engineer, and we are excited as new opportunities open up throughout the region. If you would like to learn more about Smart Manufacturing, our work in Taiwan or Cimetrix, please feel free to ask an expert any time. SEMICON China was held from March 14-16, 2018 in Shanghai at the Shanghai New International Expo Centre. Simultaneously co-located at this huge complex were Productronica China and Laser World of Photonics China. All three shows were very busy this year, and it is clear the electronics manufacturing industry in China is booming. Cimetrix attendees included Dave Faulkner (VP Sales and Marketing), Ranjan Chatterjee (VP Smart Factory Business Unit), Michael Lee (Country Manager Taiwan), Yufeng Huang (Senior Software Engineer), Alan Weber (VP New Product Innovations), and Kimberly Daich (Marketing Manager); Hwal Song (Country Manager Korea) was also able to attend for one day. The Cimetrix booth was busy throughout the show, and provided a comfortable and convenient setting for the many scheduled and walk-in meetings that took place. Cimetrix partners Facet and Flagship also attended the show, and participated in several customer/prospect discussions. In conjunction with our partner Facet, Cimetrix software products are now used in more than 25 production factories within the China market segment. Moreover, the relationships we have established throughout the semiconductor and electronics markets are strengthening our global presence and enable Cimetrix to provide local support to current and potential clients. The most recent example is our Shanghai office, opened in 2017. 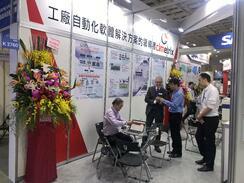 In addition to the exhibitions, SEMICON China sponsored many forums for expert speakers throughout the show. One of these included the New Technology Release Forum where our own Alan Weber was selected as a speaker. His topic “Integrated Equipment Data Collection and Management for Smart Manufacturing” was well received by those in attendance. 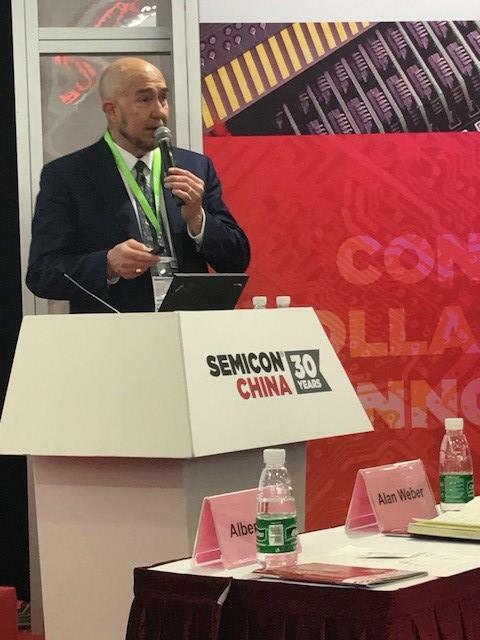 Smart Manufacturing has been a topic of keen interest at all SEMICONs over the past 18 months, and China was no exception; a separate forum dedicated to Smart Manufacturing drew a standing-room-only crowd to hear a broad range of speakers across the technology spectrum. We are currently expanding our Shanghai office in response to the exciting growth opportunities we see for our industry in China, and look forward to many years of collaborative work in this region. 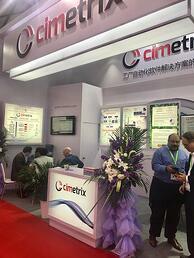 Yufeng Huang of Cimetrix talks about our China Office Opening. Read now in Chinese or English. American Cimetrix Incorporated Shanghai Representative Office was established in August 2017. 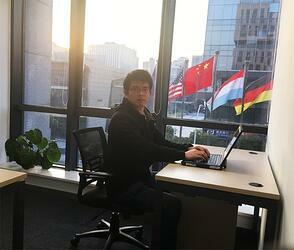 It is located in ZhangJiang High-Tech Park, which is also known as China’s Silicon Valley. The headquarters of Cimetrix, Inc, founded in 1987, is located in Salt Lake City, Utah, USA. Cimetrix is a software company that provides software products and services to OEMs and Fabs in the semiconductor, SMT, PCB, photovoltaic, LED and related industries. Enjoying excellent customer reputation, Cimetrix considers itself more as customer’s trusted partner than customer’s supplier. We firmly believe that we have the ability to provide customers with the world's most advanced SEMI-based software solutions. 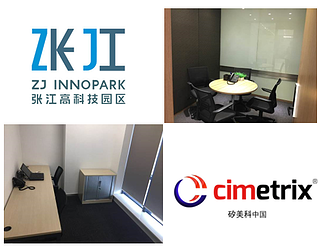 Cimetrix Shanghai Representative Office provides pre-sales consulting, customer training, after-sales technical support services to mainland China, Taiwan and other Asia areas. I am greatly honored to join Cimetrix Shanghai Representative Office in August 2017. In the past few months, we have continuously received favorable comments from existing customers and cooperation intentions from potential customers. Thanks for their trust and support of the company, we will, as always, provide our clients with the best and most efficient services. We believe that our products and services will meet customer satisfaction and greatly enhance your product quality. Michael Lee of Cimetrix announces the Taiwan Office Opening. Read now in Chinese or English. When it comes to adding product functionality, shortening delivery time, or increasing wages, smart manufacturing provides the best solution. 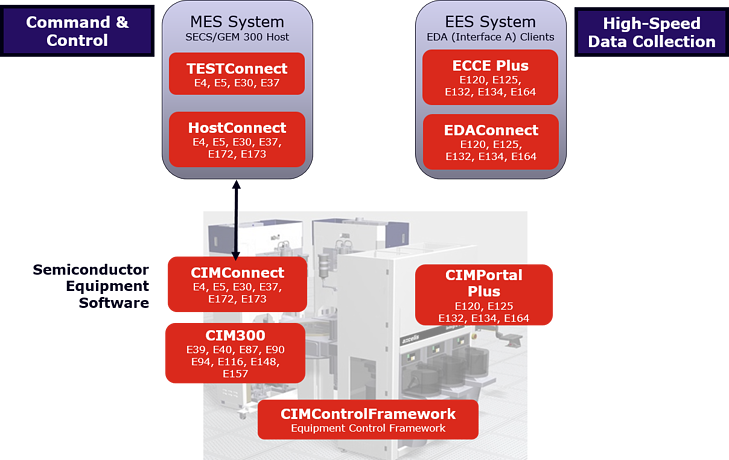 Cimetrix provides factory automation software which increases host connectivity and equipment control for semiconductor, electronics assembly, photovoltaic, LED, and related electronics industries. Our industry-leading products focus on successful implementation of tool control and SEMI connectivity standards to enable faster time-to-market, increased customization, and decreased total cost of ownership. I was honored to join the Cimetrix team in February earlier this year. We work with major semiconductor companies, PCB manufacturers, equipment vendors, robotics specialists and more. I was happy to know that everyone I've worked with has high praise for this company. Cimetrix can bring their customers and clients connected products that are efficient and cost-effective. Cimetrix offers a large portfolio of products such as CIMConnect, HostConnect, and EDA to meet the various needs of their customers. The Cimetrix International, Inc., Taiwan Branch officially opened on May 31, 2017. Thanks to all our partners and customers. We hope to continue to bring you convenient and passionate service. I am looking forward to working with all our current and future customers in Taiwan and China! On March 30, 2016, Linkgenesis and Cimetrix hosted an Equipment Data Acquisition (EDA) standards seminar in Suwon City, South Korea to introduce equipment suppliers, sub fab component suppliers and system integrators to the concepts, history and best practices involving the SEMI EDA standards, also known as Interface A. The seminar was in response to Samsung’s EDA pilot targeted for Line 17 in Hwaseong with further rollout in Pyeoungtaek. While Interface A is being adopted in the US, Europe, Japan, and Taiwan; this is the first usage in South Korea. Recognizing this, Linkgenesis used their strong contact base in the South Korean semiconductor industry to bring together the major fab suppliers to share knowledge about EDA and demonstrate how Linkgenesis and Cimetrix can help them meet Samsung’s requirements. If you would like to learn more about the application of the SEMI EDA/Interface A standards, click here for 10 in-depth videos on EDA technology. You can also download a white paper on the SEMI EDA/Interface A standards here.